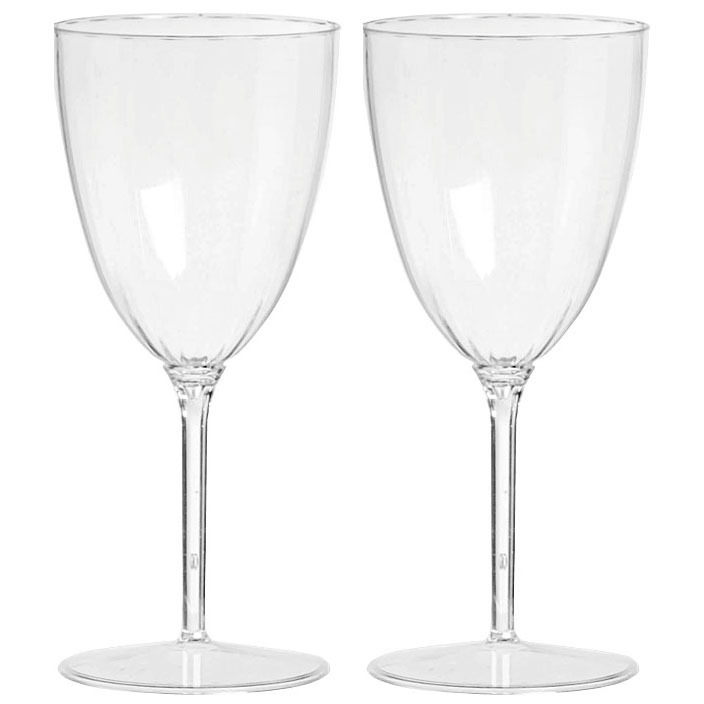 We love these clear premium quality wine goblets that come ready as a 1pc (not in two pieces), so no leakage to worry about. Perfect to have on hand for all your indoor and outdoor elegant gathering, or brunches and pretty enought that you'll want to toast all night long! It's elegant and unobtrusive design will curiously stand out for it's lovely practicality.